He ended his life before authorities could get to him to answer questions regarding the death of his 13-month old daughter. The father wanted by the police has killed himself at a Manhattan hotel. The authorities have identified the man as 31-year-old Mohammad Torabi. Torabi is the estranged husband of the Queens mother accused of brutally beating the girl and her twin brother. The boy is in critical condition. 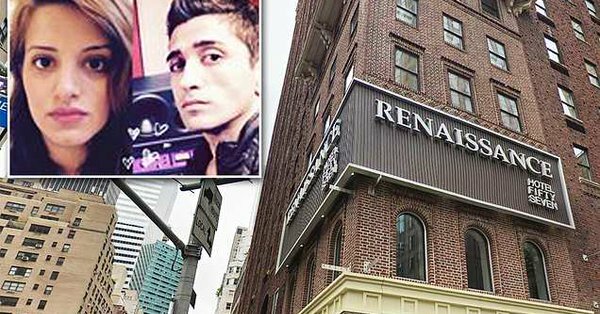 Police found the body of Torabi at the third-floor landing of the Renaissance Hotel on East 57th Street on Saturday afternoon. The authorities did not see a suicide note. The estranged wife, Tina Torabi, 30 years old is currently in prison for felony assault charges. Officials are still awaiting the autopsy results on 1-year-old Elaina, the twin sister. The infant was found unconscious with bruises and wounds on her body inside the family’s apartment unit in Auburndale on Wednesday night. Officials are still investigating whether Torabi has anything to do with the infant’s death that’s why they wanted to get to him for questioning. He is not a suspect yet in the horrific killing of the baby. Last year, Tina’s five children were all removed from her custody and transferred to their grandmother after the twins were born with opioids in their system. A judge ordered the return of the children to Tina’s care in March after the court found no evidence of drug use. Child welfare workers made at least one visit to the house since the children were given back to their mother. Tina was able to secure a protection order against her estranged husband in 2015 following his attempts to choke her. The house in Queens where Tina and the children were staying prior to the murder is said to be owned by the relatives of Mohammad, although he does not live there himself. Mohammad also has an open arrest warrant for a child support violation in Nashville, Tennessee. It is unfortunate that by taking his own life amidst the ongoing probe, he also denied the chance for him to shed light on the matter and the senseless killing of his infant daughter.